Can I use my insurance for speech-language therapy? How do we access therapy services through the public school system? The public school therapist said my child does not need therapy. 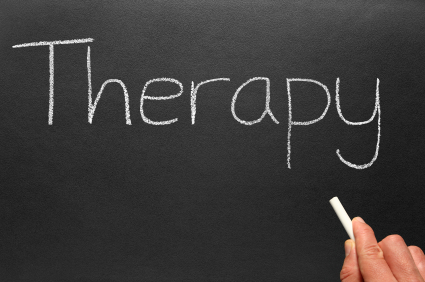 Where will therapy be conducted? How can book reading help my child? Is it better to sneak out of a session or tell my child I am leaving? What happens if we need to cancel therapy? How will I know when my child is done with therapy? Language refers to the content and meaning of what we say. This includes using and understanding vocabulary, grammar, social skills, and written words. Speech refers to the sounds we use to communicate our ideas. Speech includes articulation (the production of sounds), voice (hoarse or raspy voices should be investigated by a pediatric ENT or speech-language pathologist) and fluency (relative smoothness and ease of speech). Occupational therapy focuses on helping people achieve independence in their activities of daily living including academic, self-help, and social activities. Physical therapy focuses on improving strength, coordination and range of motion. Occupational therapy tends to focus on fine-motor skills, whereas physical therapy tends to focus on gross-motor skills. Following a thorough evaluation your therapist can help you set a timeline for therapy goals. This is called a “plan of treatment” or “care plan.” Be sure to keep yours handy and refer to it as your child progresses through therapy. We are currently in-network with several major providers in the area including: UHC, UHC Medicaid HMO, UHC Healthy Kids, FLBC, FLBC Medicaid HMO, Tricare, Sunshine State Medicaid HMO, and Medipass. Additionally, if allowed by the specific provider, we are able to submit out-of-network claims. For questions regarding whether private therapy or school-based services are best for your situation, you may contact us for guidance. The criteria for qualifying for services in the public schools differ from therapy in the private sector. Following a thorough evaluation, our therapists can help you to determine if your child is a good candidate for therapy. Our therapists travel around Central Florida to provide services in schools, homes and daycare centers. When it is functional and appropriate therapy may take place at a playground, restaurant or event. When children are seen for therapy outside of school or daycare, a legal guardian must be present. Toddlers and preschoolers have the capacity to learn thousands of words per year. Reading a wide variety of books introduces them to new and diverse vocabulary, topics and story elements. We recommend parents read to their children 15 minutes per day. Please do not sneak out of sessions. We recommend you tell your child clearly and simply that you will return and that you love him/her. Your therapist can assist you with a routine and script to ease this transition. Please provide your therapist with at least 24 hours notice if you need to cancel. Please email or call your therapist. Some of our therapists communicate via text message. Please talk with your therapist to confirm an efficient way to communicate. We understand that children have sudden illnesses and we appreciate your canceling therapy if your child has had a fever, vomiting, diarrhea, or rash 24 hours prior to therapy. We work with some medically fragile children and do our very best to avoid spreading illnesses. Children are typically discharged from therapy when the goals on the plan of treatment have been achieved and no new goals have been identified by the parent or therapist. Sometimes children are recommended for discharge before their goals have been achieved in cases where their skills have reached a sustained plateau for an extended period of time. Other times, children are discharged from therapy secondary to insurance restrictions. Following a screening, children whose skills are borderline may be invited to “monitor” status. During this time, the parent and therapist speak monthly about the child’s progress. If either becomes concerned about the child’s progress, an evaluation may be recommended.